Mission: The Organ Donation Advisory Committee works to reduce the gap between the need for donated organs and the available supply. Function: The Organ Donation Advisory Committee assists the Department of Health and Senior Services, and the Department of Elementary and Secondary Education in the development of organ donor awareness programs to educate the general public on the importance of organ donations, recommend priorities of expenditures from the Organ Donor Fund, and establishes a central organ donor registry within the Department of Health and Senior Services. 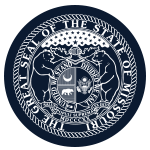 Member Requirements: 4 members must represent organ and tissue procurement organizations; 4 must represent organ recipients, families of organ recipients, organ donors, and families of organ donors; 1 must be a health care representative from a Missouri hospital; and 1 must represent the Department of Health and Senior Services.